Since our inception in 1984, The Coca-Cola Foundation has given back more than $650 million to enhance the sustainability of local communities worldwide. The Coca-Cola Foundation is our Company’s primary international philanthropic arm. The Foundation was established in the U.S. as a registered 501(c)(3) charitable organization. Foundations grants are awarded throughout the year based on our priorities, tax requirements, legal compliance and approval by the Foundation’s Board of Directors. Toyota first came to the U.S. in 1957, when they opened a dealership in Hollywood, California. That year just 287 customers purchased the “Toyopet Crown,” their first vehicle sold here. More than a half century later, their story in America includes ten plants across the U.S. that produce over a million and a quarter vehicles a year. It’s a story of 39,000 jobs and charitable commitments totaling over $700 million to support safety, education and the environment in America. Since 1978, our grantmaking has helped Southern California’s nonprofit organizations improve the broad fabric of the entire community. This approach recognizes that museums and arts programs are as important to our collective well-being as after school services, community clinics and food banks. Accordingly, we invest in excellence in social services, health care, the arts and higher education in Los Angeles County. We are a responsive grantmaker. We have always invited local organizations to come to us for what they need to do their best work. This includes core operating support, which is a powerful way to help nonprofits struggling to fulfill their missions in hard economic times. 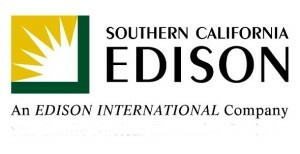 The Southern California Edison Foundation. Electricity powers our homes, our businesses, and our communities. We’ve delivered it to Southern and Central California for more than 125 years. As one of the nation’s largest electric utilities, we’re committed to keeping electricity safe, reliable, and affordable today and for the future. Using funds from shareholders of our parent company, Edison International, we contribute to organizations that help meet the many needs in our region’s diverse communities. At Edison, our giving is focused on important issues like education, the environment, public safety & emergency preparedness, and civic engagement. The Verizon Foundation is the philanthropic arm of Verizon. We’re dedicated to solving critical social issues in the areas of education, healthcare and energy management, particularly in underserved communities. As a company with a highly diverse workforce serving an equally diverse set of customers, Verizon through its Foundation, supports a wide range of programs through direct and matching grants that benefit diverse communities, including minorities, veterans, and others. The Verizon Foundation expects all of its grant recipients to comply with all applicable laws, including those governing tax-exempt status and non-discrimination laws. Los Angeles Cares Mentoring Movement.